In this work, different synthesis methods of zinc stannate (Zn2SnO4–ZTO) were proposed in order to obtain a material with a greater porous structure and higher surface area when compared to conventional hydrothermal method. Zn2SnO4 particles were prepared using a conventional oven method (CO), ultrasound (US), microwave (MW) and high pressure Asher (HPA), all followed by calcination at 500 °C. Fourier-transform infrared spectroscopy, X-ray diffraction, N2 adsorption–desorption (BET and BJH), diffuse reflectance spectroscopy, particle-size distribution and scanning electron microscopy were used to characterize the materials. ZTO prepared by HPA (20 bar) showed a greater surface area. On the other hand, particles with higher mesoporosity and band gap were obtained by CO route. The US route led to the formation of ZTO with larger average particle size. Therefore, all hydrothermal routes employed in this work were able to synthesize ZTO, each one with its peculiarity, producing particles with different characteristics. The ZTO photocatalytic properties were evaluated by the decolorization of Procion red dye solution. The ZTOs synthesized by HPA and MW routes showed higher photocatalytic activity, being able to decolorize more than 70% of the dye solution at 60 min under sunlight. 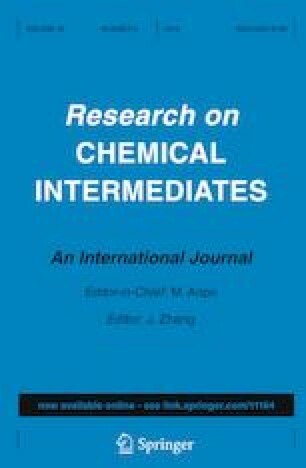 The online version of this article ( https://doi.org/10.1007/s11164-019-03832-1) contains supplementary material, which is available to authorized users. The authors would like to thank CAPES (PNPD - Nº 20132633-42002010038P6) (Brazilian Federal Agency for Support and Evaluation of Graduate Education), CAPES/FAPERGS Bolsista CAPES/BRASIL Nº 88887.195036/2018-00 and CNPq (454645/2012-0) (National Council for Scientific and Technological Development) for the financial support.